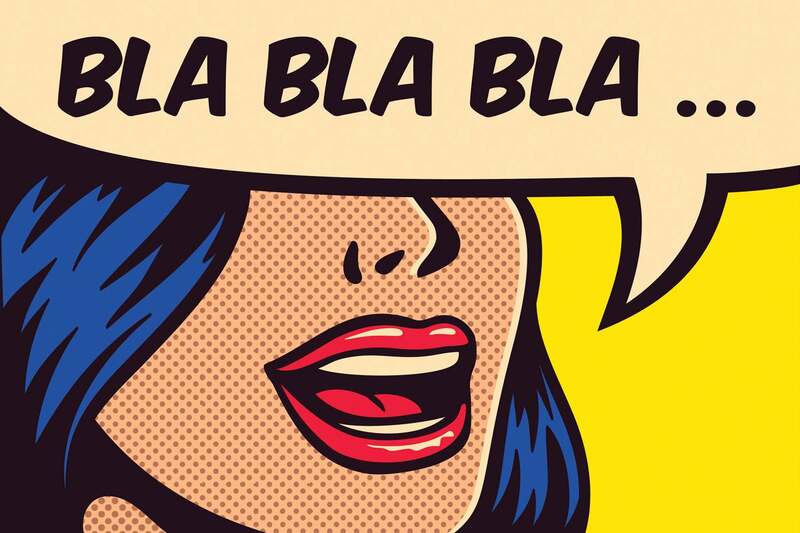 If you’ve been following any of my blogs lately you’ll know that I’ve been on a rant about jargon, and, so far, have tried to exorcise both digital and disruption from our daily lexicon. Good luck, you say? Ok, well, the point I'm trying to make is that many of these words have gone past their due dates, and should be sent out to the business-as-usual pasture. Jargon gets on everyone’s nerves, yet, we all use it because it’s easy and everyone else is doing it. When you take overused words out of the equation, you’ll find that you’ll look at things differently and be more focused. Suddenly those meetings won’t be such a waste of time and you and your team will have a better chance at refocusing on what matters: delivering ever-better services to your clients and growing your business. And if you don’t believe me, take the jargon-lite challenge; go a few days without using digital or disruption or any other buzzwords for that matter and see how it challenges your thought processes. Ok – for this blog installment, I’d like to take on a longer “d” word that’s also polluting our lexicon: Disintermediation. What? I get that this isn’t a word you commonly toss around over a drink with your pals, but it’s one that consultants love and looms large over many businesses today. Disintermediation would really be the removal of the go-between in business transactions, reducing the “friction” in a transaction and, at least in theory, improving the value of an existing product or service. Inversely, intermediation injects a middleman between distribution channels e.g. a customer and businesses that previously sold directly to consumers. Where I work at a brokerage, disintermediation is a big topic. Stock brokers, residential real estate brokers, and insurance agents are all intermediaries, and constantly wonder how new concepts will impact their value. “Will brokerages be disintermediated?” is a constant question at industry tech events. Ok, stick with me on this one – it’s a bit of a reductio ad absurdum argument. Disintermediation assumes that a there is a recognized, consistent intermediary that provides services to a recognized, consistent channel. But with channels changing frequently in a digital world where disruption occurs regularly is there, in fact, a recognized consistent intermediary? Insurance brokerage, for example, has changed but it isn’t really about disintermediation. The channel is still the same: a customer looking for insurance who goes to a “source” to help them get what they need. What has changed is that that source is no longer only a person but also a website or a mobile application. For businesses today, the idea of threat of disintermediation is negative and potentially limiting. In this world, one size does not fit all. New models must be free of narrowly defined concepts and, instead, focus harder on understanding their customer base. We must find new ways to meet needs with improved levels of convenience and selection. It’s not about disintermediation, it’s about the realities of doing business today. Who are my customers, and what do they need? Not just which of my existing services do my customers need. What are the most important relationship factors desired by my customers in a partnership? How do my customers access their needs today and what factors (environmental, demographics, etc.) may influence these buying patterns in the future? Are we willing to change the way we deliver services even if that means we lose good people or abandon successful products? Netflix did not disintermediate Blockbuster. Customers have always wanted entertainment. They want convenience and enjoy watching movies wherever, whenever, and on whatever device they want. Netflix did not disintermediate Blockbuster. Netflix recognized the channel was changing and became an intermediary of that channel. I've now covered digital, disruption and disintermediation in my Big D Hit List, which leaves one last word I'll tackle in my last blog in this series. It's a whopper that many of us, including me, wonder if we can live without: data. Meanwhile, I would love to have your thoughts on this post. Adam L. Stanley is a technology and operations leader with over 20 years of experience driving change through innovation. In his several C-level roles to date, he has led significant technology transformations and strategic cost reductions through contract rationalization, shared services, offshoring, and outsourcing. He is also very active in the startup and accelerator communities, serving on Advisory or Governing Boards of multiple organizations. His blogs are his personal views and not that of his current or past employers.